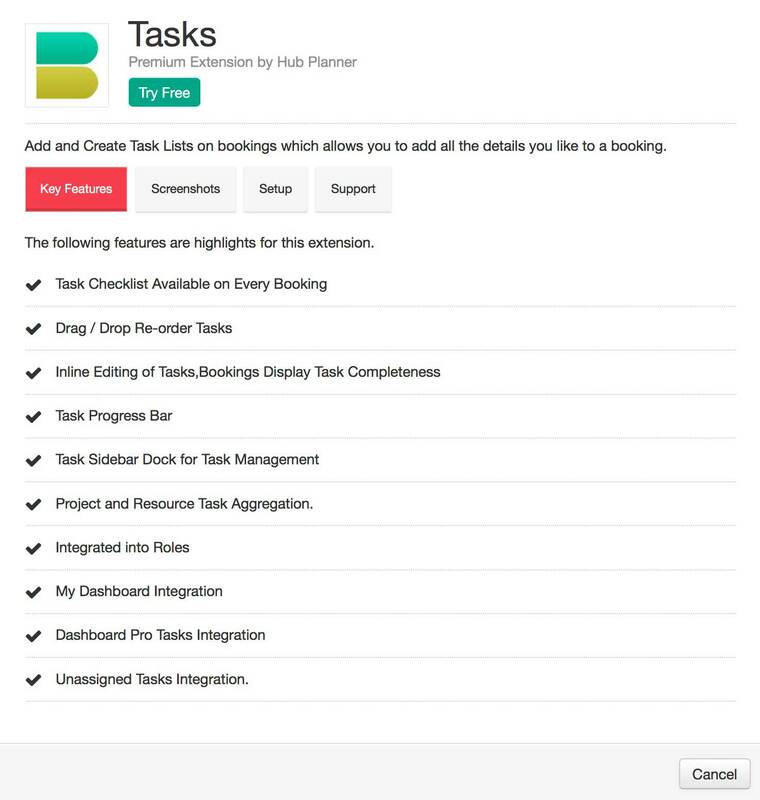 The Booking Task Checklist Extension allows you to add booking tasks to any booking in the Resource Scheduler. Tasks provide more granularity in describing the work to be done in a Project booking assignment and can be maintained as a progress list of the completeness of a scheduled booking. A quick access Task sidebar allows a user to click between bookings quickly and update the tasks for each accordingly real-time. Tasks are also aggregated on a Project and Resource level and you can access these from the Dashboard. Project and Resource Task Aggregation. 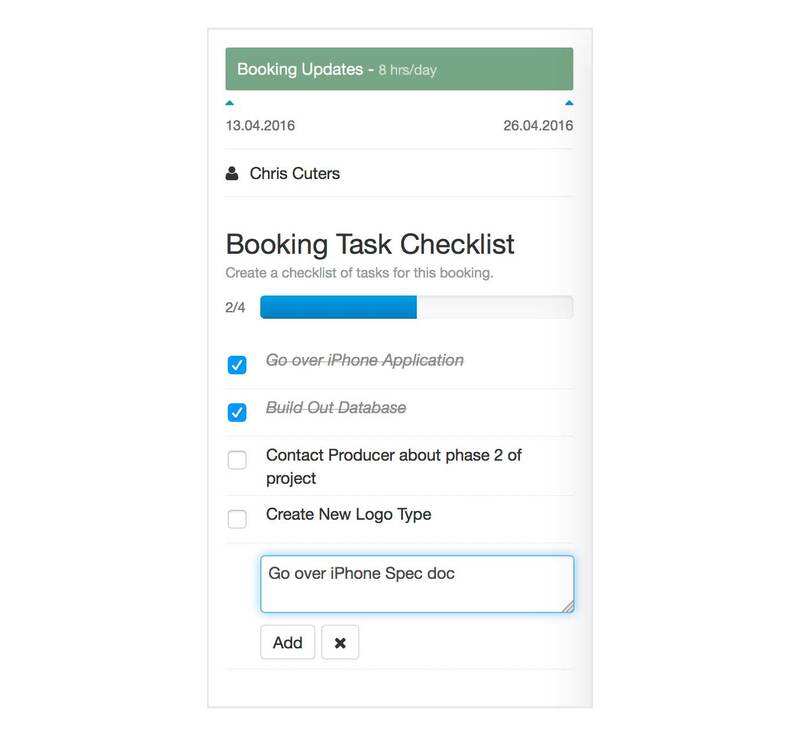 Tasks present a fine balanced integration of being able to add the small details which go into a Project task, while maintaining a birds eye overview of your teams schedule. It’s quick and snappy, and allows your team to get involved in the planning of your projects. The Task Checklist works like a regular checklist, but executed with nice inline editing capabilities and direct real-time progress feedback on task completeness. You can easily add, edit, delete and update any task item inline. You also have the ability to re-order tasks with the drag and drop functionality. Included in the Task Extension is the Task Sidebar. The sidebar is a great way to be able to quickly click through bookings in the scheduler and instantly see all the tasks associated with that booking on click. You can quickly add a task to one booking, then with 1 click switch to a completely new project booking and start editing the tasks there. If Tasks exist on a booking in the resource scheduler then a small task icon will appear on the booking. The icon will say how many tasks are on the booking and how many have been completed out of those tasks. This gives you immediate feedback without needing to view the task list to get that information. At the top of each task list there is a progress bar to also help indicate how far along in the current task list you are. The Task Sidebar is a great way to manage single scheduled bookings as you click around the scheduler and update quickly. To get more of a holistic overview of your Project and Resource Tasks, we have introduced a Task Management page to the Dashboard. From here you can manage all scheduled bookings tasks from one page. Clicking updates the lists in real time so you get that sense of completeness as you update lists. Task rights can be set up under the resource roles section. You can allow a resource to view all tasks within the company across all scheduled project bookings or you can limit them to only be able to interact with their own tasks. If you decide to limit a resource in how they can interact with company wide tasks, A Project Manager Role can override these settings and be able to manage all tasks on Projects they are managing. 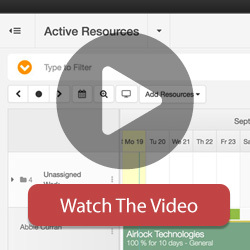 Make your resource team scheduling painless! Try Hub Planner free for 30 days! To install the task management extension, login to your account, navigate to settings and choose the manage extensions page. Find the extension from the list and follow the installation steps to try or buy the extension. If you do not have rights you should have the option to request this extension to be installed by an Admin with rights. The extension license is based on number of resource licenses you have. Please login to your account, navigate to Settings -> Extension to get a cost quote in your local currency. For more assistance on this Extension, please view the Reference file here.